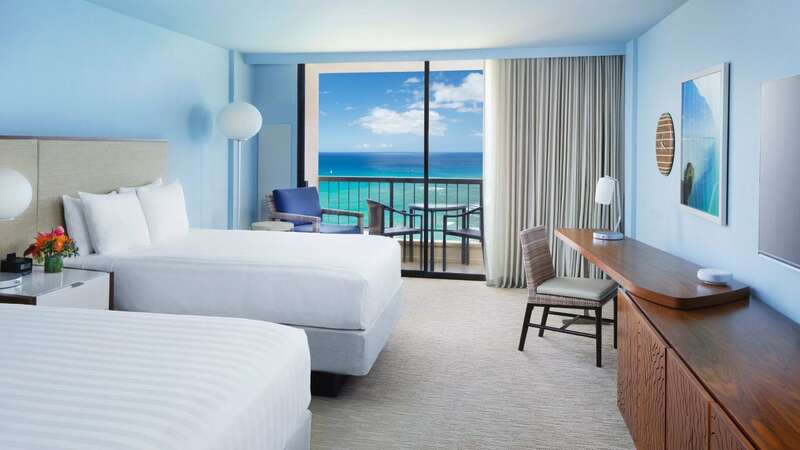 Hyatt Regency Waikiki Beach Resort and Spa features some of the largest guestrooms in Waikiki. The property has 1,230 rooms, each with a private lanai and designed to be smart, intuitive, and timeless. Each layout preserves the Hawaiian cultural context while providing a clutter-free space with crisp white linens and flexible furnishings. The opportunities for comfort are endless, whether you want a suite fit for a group, access to Regency Club Lounge, or stunning views of the ocean or city. Your vacation will truly begin the moment you first step out onto one of your 3 private lanais in the Penthouse Suite offering 1,435 square feet of luxurious living space. From there you look out upon the Waikiki sands and surf that have inspired and delighted travelers from around the world. The spacious interior complements that vista by emphasizing modern elegance with designer furniture in the living area that reflects the natural beauty surrounding you outside. That feeling extends to your bedroom, which centers around the king size Hyatt Grand Bed that feels like it was custom made for you. Your bathrooms present the same sleek, sophisticated style of the rest of this distinctive suite. The Toto Washlets deliver matchless comfort with their heated seats, advanced cleansing and hands-free drying. You're also provided with a selection of Na Ho'ola Spa products that will fill you with the scents of the islands. The stage is set and it's all yours to use as you wish. 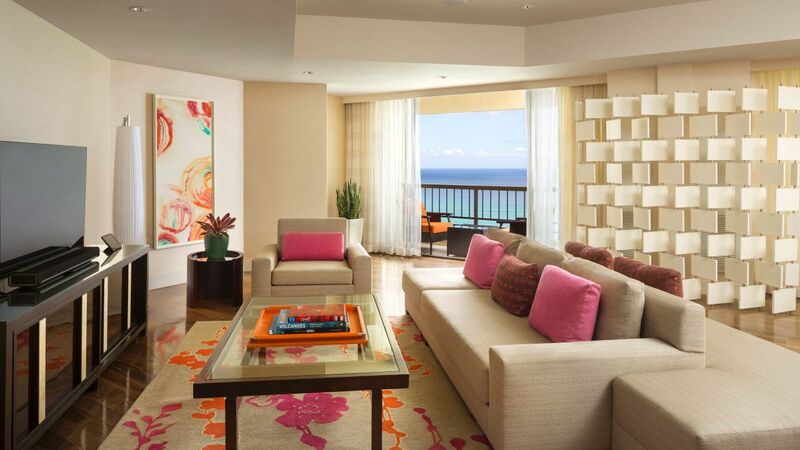 Reserve your Penthouse Suite today with a call to our 24 hour service at 1-800-233-1234. This is a premium suite. See World of Hyatt program terms for upgrade eligibility. 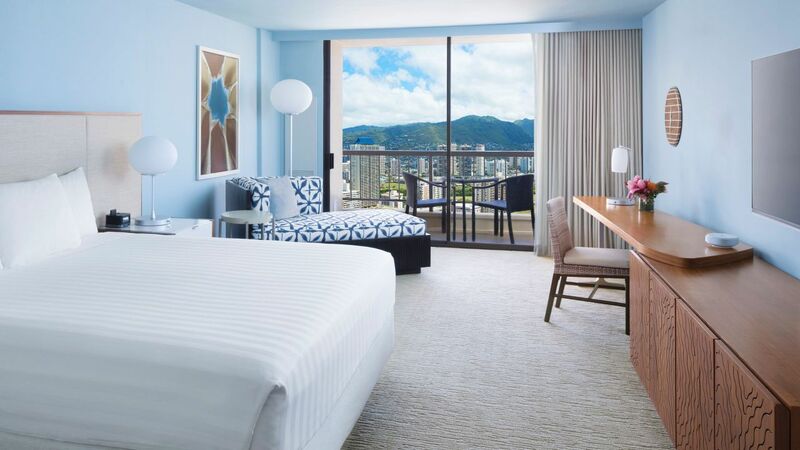 Once you step on one of your private lanais, your entire family will be thrilled by a panoramic view of the golden serene sands of Waikiki Beach and the endlessly changing face of the blue Pacific. Feel at home in this standard suite with spacious living offering 1,435 square feet. See World of Hyatt program terms for upgrade eligibility. 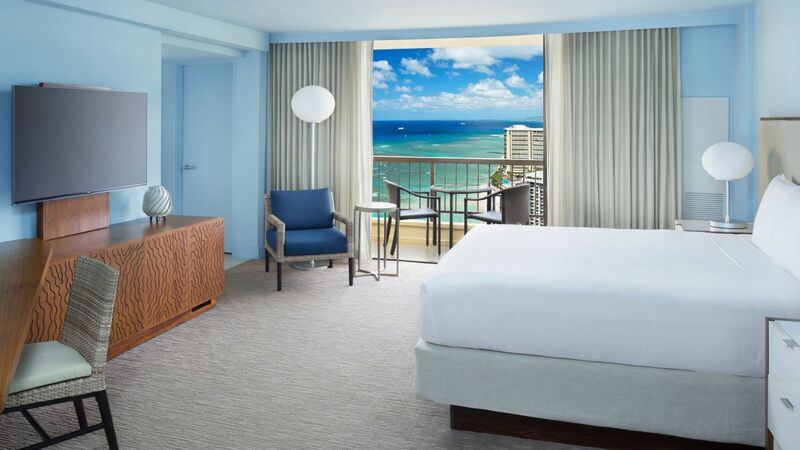 Welcome to the Ambassador Suite and revel in 1,870 square feet of spacious living and stunning ocean views of breathtaking Waikiki Beach. 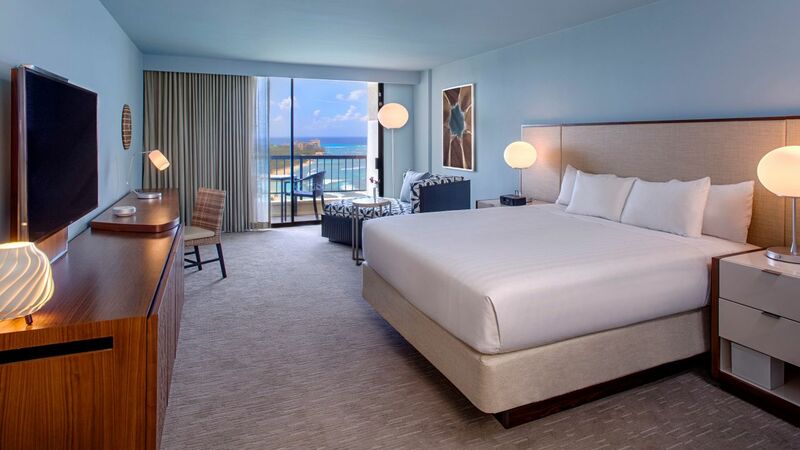 With 3 private lanais, you can indulge in miles of crystal blue waters and island scenery all from your home on our 40th floor. Your accommodations are equally superb. Modern luxury is included throughout, featuring designer furniture that will draw friends and family together for special evenings. Each bathroom includes Hawaiian spa products to add an intoxicating island touch as well as the advanced comfort of a Toto Washlet to provide you complete warm-water cleansing and hands-free drying. At the end of the day, retire to your plush master king size bed or 2nd bedroom with 2 Grand Hyatt double beds. 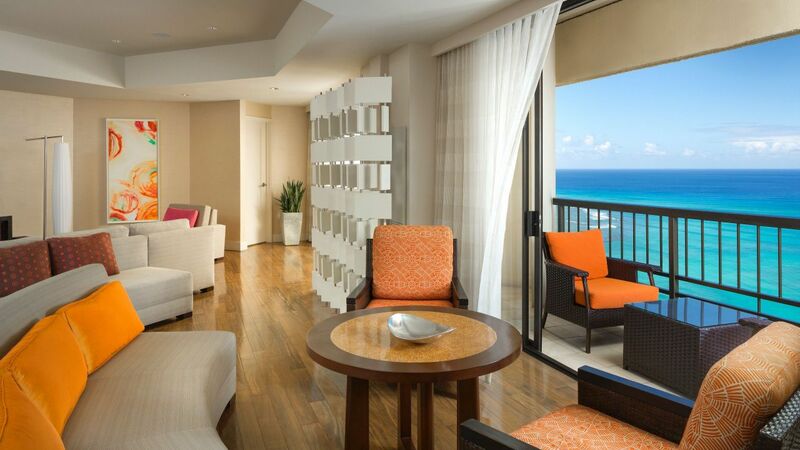 Reserve your Ambassador Suite today, by calling our 24- hour service at 1-800-233-1234. This is a premium suite. See World of Hyatt program terms for upgrade eligibility. Spread out in luxury with 2,840 square feet of spacious living. 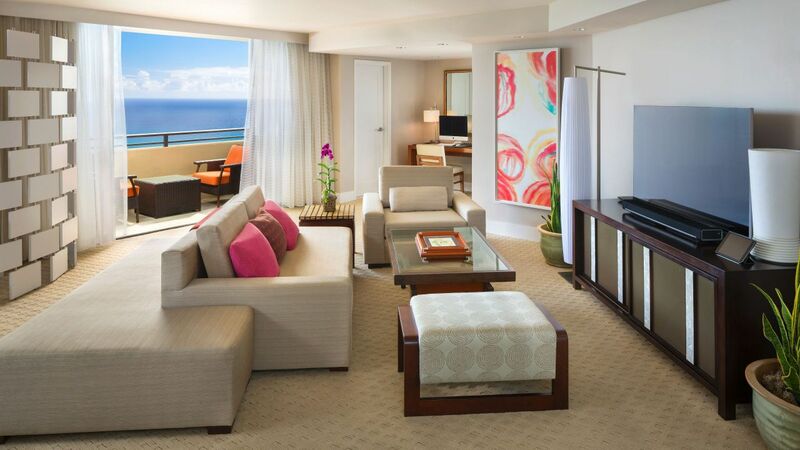 Located on the 40th floor, the Presidential Suite overlooks the most prized strip of beachfront Kalakaua Ave. Upon arrival relax at any one of 6 private lanais and lose yourself in the blue waves crashing below. Enjoy a full gourmet kitchen and an elegant dining room or feel pure serenity enfold you as you wind down in the roomy sitting areas. At the end of a sun-filled day, retire to one of 2 bedrooms with a lavish king size bed or 2 double Hyatt Grand beds—all promising unrivaled comfort. With ample space containing refined décor and fixtures, your bathroom is complete with exclusive tropical spa amenities. Also included are Toto Washlets to provide an invigorating experience with warm-water cleansing and hands-free drying, as well as a heated seat. 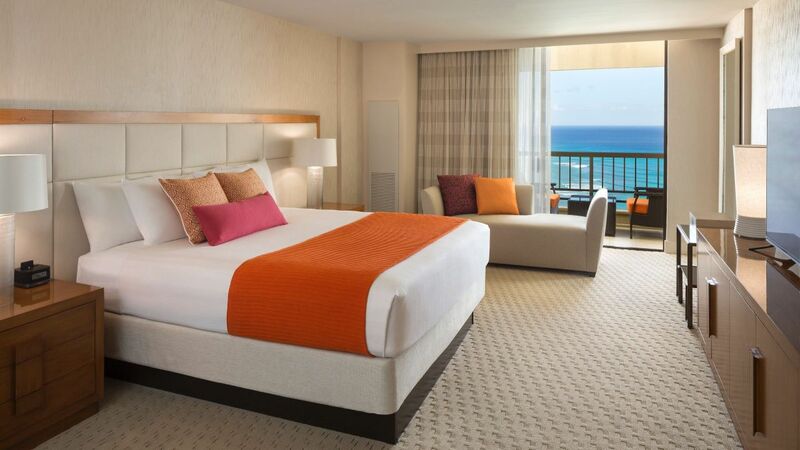 With the beach literally across the street, your Waikiki stay will be one of unforgettable experiences and luxurious accommodations. Reserve your Presidential Suite today by calling our 24-Hour service at 1-800-233-1234. This is a premium suite. See World of Hyatt program terms for upgrade eligibility. 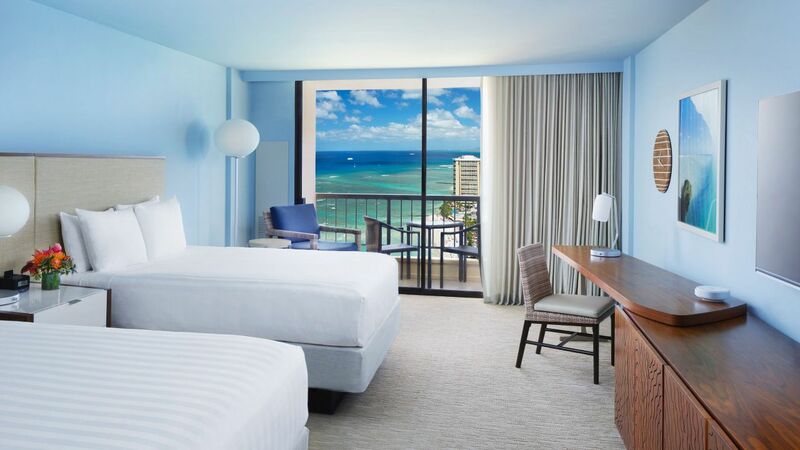 Ocean Front rooms overlook the warm waters of the Pacific and famous Waikiki, with its majestic palm tree lined Kalakaua Avenue. 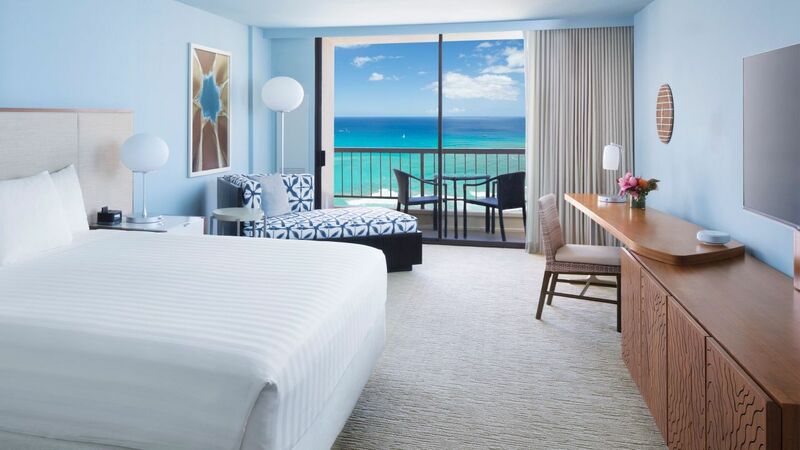 With stretches of views of the turquoise Pacific Ocean, the Ocean View room may also include views of the city center, beach activities, hotel atrium and Diamond Head Crater. Immerse yourself in the excitement of the city center. 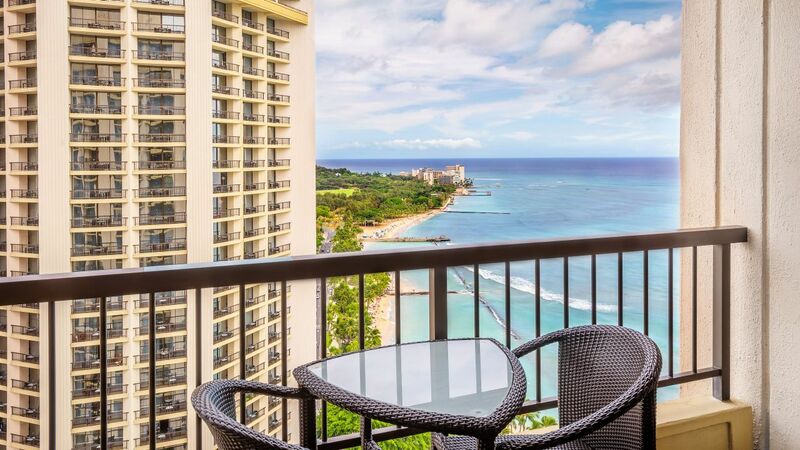 Celebrate your time in Waikiki with this lively view from the lanai, perfect for watching people pass by on their way to surf or shop. With Pacific Ocean views from the lanai and in most rooms, it includes VIP extras like access to our Regency Club Lounge with complimentary Continental breakfast and evening hors d'oeuvres. 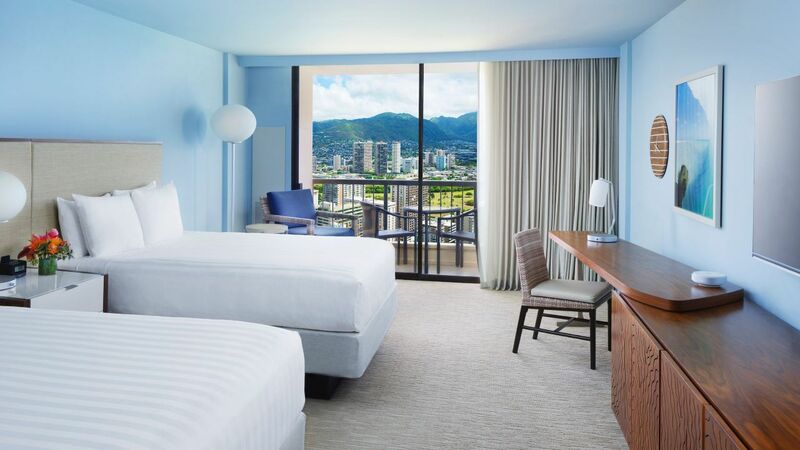 These rooms provide a view of the city and Ko’olau Mountain Range. It includes VIP extras like access to our Regency Club Lounge with complimentary Continental breakfast and evening hors d'oeuvres.